You will absolutely love our romantic, relaxed and elegant wedding feature today, from lovebirds who celebrated their wedding last December. Kirsty & Pete's wedding day at the Noosa Sunshine Coast was one of those heartfelt occasions that truly reflected not only the couple, but their gorgeous family as well. 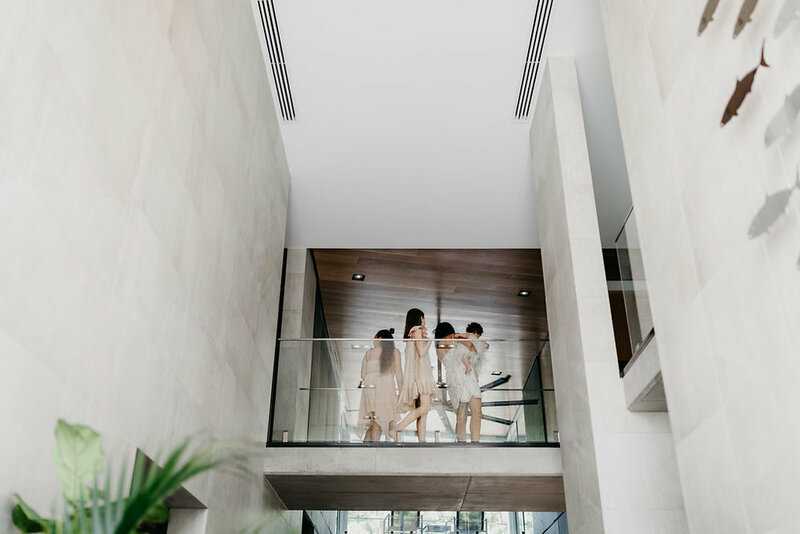 Words can not express the pure excitement when the couple send through their break taking images by wedding photographer Cassandra Ladru, and it was with much difficulty that we selected the ones to share, as they were just all so perfectly captured. The ceremony took place at modern and sophisticated private home on the canals, with over 120 guests welcomed to join the celebration. The relaxed yet romantic and elegant styling made a perfect combination to each and every detail of the wedding, from the flower installations by Mondo Floral Designs, the oyster station and relaxed live entertainment. 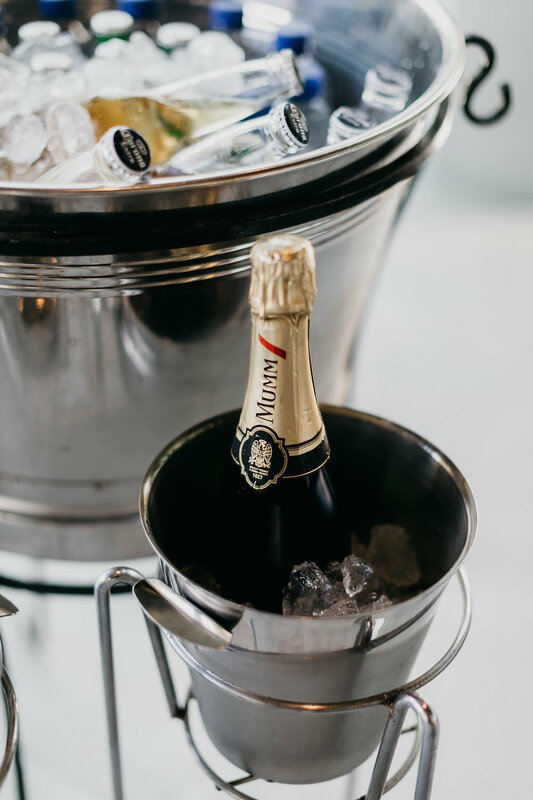 Upon arrival, guests were greeted by our bartenders with champagne and drinks from our mobile Caravan Bar hire. 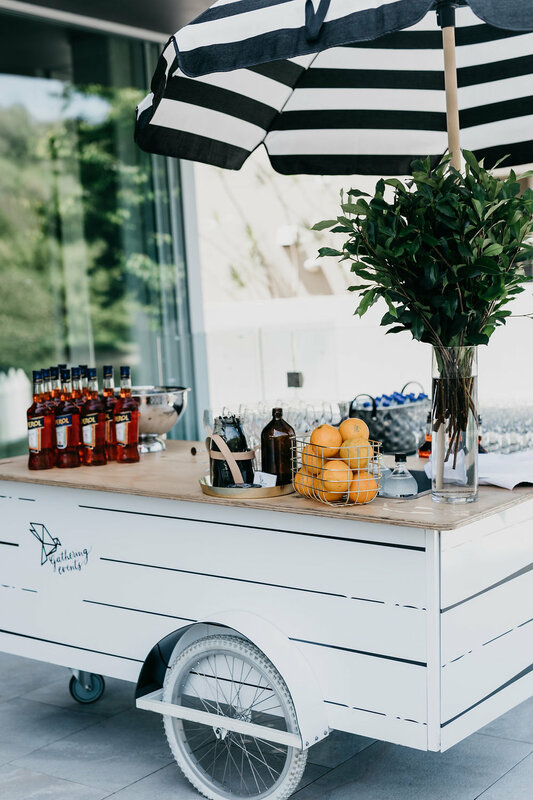 A little further inside, our portable Cocktail Cart and Aperol Spritz Bar and station was open for guests - and was an absolute hit! All that was left from here, was for guests to relax, mingle and enjoy the ceremony. From here, guests were transported to Sails Restaurant on Noosa Beach to enjoy a night of good food, good drink and great company, dedicated to the couple. 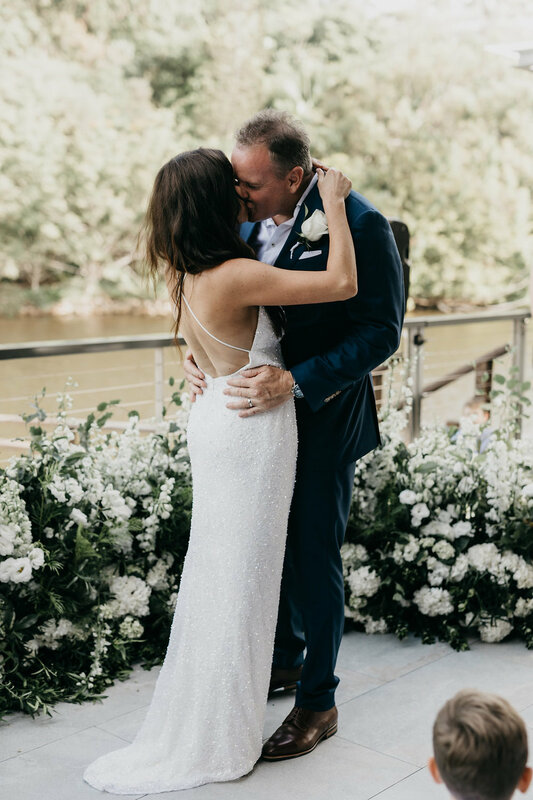 We hope you enjoy this unique wedding as much as we did, and if we can help bring your Sunshine Coast wedding to life with our bartender, caravan bar or mobile bars, contact us today. HAVE YOU HEARD? WE LAUNCHED MOBILE COFFEE CARTS FOR EVENTS!